With microphone prices ranging anywhere from $15 – $1000+ how do you know what you should buy? Is price the biggest determining factor? Can you get a quality microphone without breaking the bank? Which Microphones Are The Best Recording Microphones? With tons of people wanting to create careers in podcasting, music, and YouTube there is a rising demand for studio microphone quality on a home studio budget. Here we go through the top 10 highest rated Amazon microphone listings for both dynamic and condenser microphones. We will go over the microphone prices, key features, and actual reviews to determine if they’re perfect for your studio setup. We will use verifiable reviews from these 20 microphone Amazon listings to give you real-life feedback on the pros and cons of each microphone. But, before we jump into prices and products let’s discuss what to look for when buying microphones, some average microphone prices, and what you can expect when buying a recording microphone. Before you jump on Amazon and start building your dream microphone Amazon list you have to understand a few things. Here we list our top things to figure out before you start browsing the microphone for sale listings. At the end of the day, the microphone you buy is going to depend on what you plan to do with it. Recording your saxophone will require a different microphone than a recording microphone you’d purchase for recording a podcast. 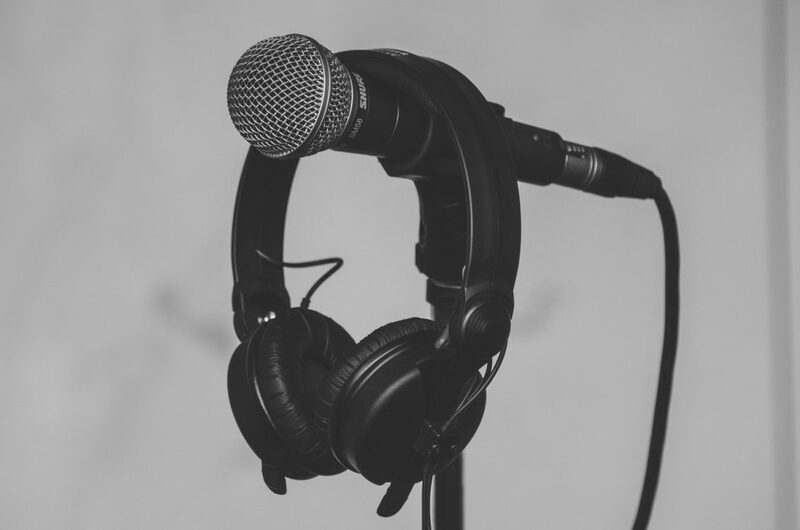 Make sure to do your research on what your recording niche requires from a microphone. Then, purchase a few different types of mics to figure out which works best for your setup and style. Amazon’s return policy makes this simple. Since Amazon offers a full refund return policy you can try as many mics as you like risk-free. Before you purchase any equipment, plan out your recording space. Will you have the whole basement to work with or a small corner of your bedroom? Are you going to be able to set up a dedicated home recording studio or will it be in a multi-purpose space? If you’re building in a place that will be used for other things you’re going to want a different, easy to break-down, setup for your recording equipment. Make sure you have exact measurements of the space you are allotting for recording. Be realistic in your measurements. You are going to need to fit some stuff in here. Leave room for a desk or table, a computer or laptop, a comfortable chair, and any necessary stands and windshields that will be needed. Consider storage for your equipment and your instruments. This is how a microphone picks up sounds when recording vocals, acoustic guitar, electric guitar, and anything else you want to record. Microphone directionality is how the recording changes by where the mic is placed. These changes are graphed out in charts called polar patterns. Polar patterns graphs show the frequency response of the microphone when the source of the sound is moved. 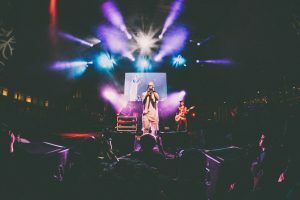 When you are talking about music production, a microphone for recording vocals, or a microphone for recording large groups of people, you are looking for omnidirectional microphone systems. These have the frequency range and build quality to handle loud sound and soft sounds and accurately pick up the sound source while keeping a low noise level. You should use a unidirectional cardioid pattern microphone for studio recording in less than ideal conditions. This is why so many of the cardioid microphones rate high for home recording studios. Your studio monitors will be able to pickup these differences so you can compare. 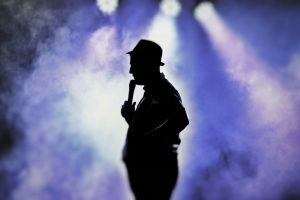 Should You Use A Dynamic Microphone or A Condenser Microphone? So, you’ve noticed these two words in your tertiary Amazon searches for microphones huh? But, what the heck is the difference between them? Let’s break them down condenser vs dynamic microphones. When Are Cardioid Dynamic Microphones Used? Dynamic microphones use a coil, magnet, membrane system that vibrate when sound is heard by the principle. This vibration is what causes the electronic signal of the sound. Dynamic range mics have a simpler construction and can take a beating. They are the workhorses of the microphone world. 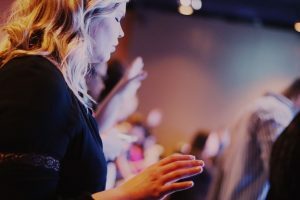 If you’re a beginner, are recording with children, or recording especially high (or super loud) levels a dynamic vocal microphone is going to be your best bet. They are incredibly difficult to overload and can withstand bumps, drops, and storage space inconsistencies and still produce great sound quality. These are a great microphone for vocals in a live setting because they are more able to pickup what’s right in front of them. When Are Cardioid Condenser Microphones Used? Condenser microphones also use vibrations to produce electricity, but the vibration is achieved through a diaphragm and backplate as opposed to the coil magnet approach of the dynamic microphone. Historically, the backplate electrical assembly in these types of microphones was called a condenser but, is now known as a capacitor. The historical name stuck to describe this microphone though. These mics run either on a circuit or tube condenser. Condenser mics are more fragile and need to be handled with more care than their dynamic counterparts. You don’t want to be doing much-mic dropping with a condenser mic. Vocal condenser microphones also need a constant power supply either through batteries or a cable to maintain the charge of the diaphragm. These microphones are generally more complex and can pick up a larger variety of sound than the dynamic mic. They tend to cost more and can be susceptible to extreme weather conditions or less than ideal storage. However, the smoother, natural, in the room sound you can achieve makes all the fuss worth it. This would be your best bet type of mic for vocals. 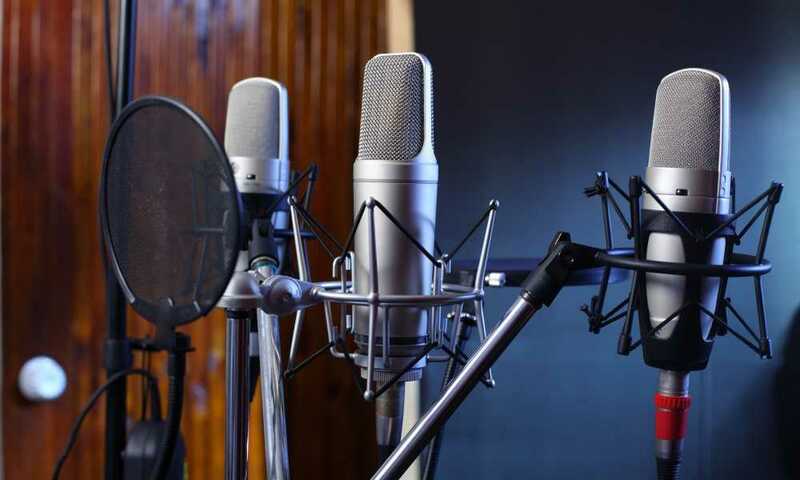 Condenser microphones are the better option for a stable setup, that isn’t being broken down frequently, and that has a consistent temperature and ideal storage solutions. These are the mics preferred for podcasting and theatre recordings because they pick up spoken word and vocals much more clearly than their dynamic counterparts. What’s The Difference Between A Large Diaphragm Cardioid Condenser Microphone and A Small Diaphragm Cardioid Condenser Microphone? The largediaphragm condenser microphone came first and offers a few different advantages over the small. Large diaphragm cardioid condenser mics offer a fantastic transient response, more high frequency response, and an extremely consistent pickup pattern. A small diaphragm cardioid will have a pickup pattern that misses some of the higher frequencies. Large also has better noise reduction than their small diaphragm counterparts. If you’re looking for a studio condenser microphone large would be a better bet unless the studio has better a better than normal acoustic environment and needs less noise reduction. When you start to check price differences you will notice the large diaphragm will be a higher expense than the small diaphragm microphones. Now that you know about the science and the sound let’s get to the good stuff, the mic reviews. Here we list the top 20 highest rated microphones on Amazon broken up into dynamic and condenser microphones. These will be your best studio mic options when doing studio recordings, recording rap vocals, getting singing vocals recorded, recording musical instruments, and when you’re looking for just a great overall mic for recording anything your heart desires. While there is only a slight variation in star rating among these top ten dynamic mics there were some notable differences. Sennheiser and Shure show a strong presence but there are some surprises. Here we give you the top ten highest rated dynamic microphone amazon has to offer listed from highest to lowest rating. Shure has been a leader in the microphone industry for years and for good reason. 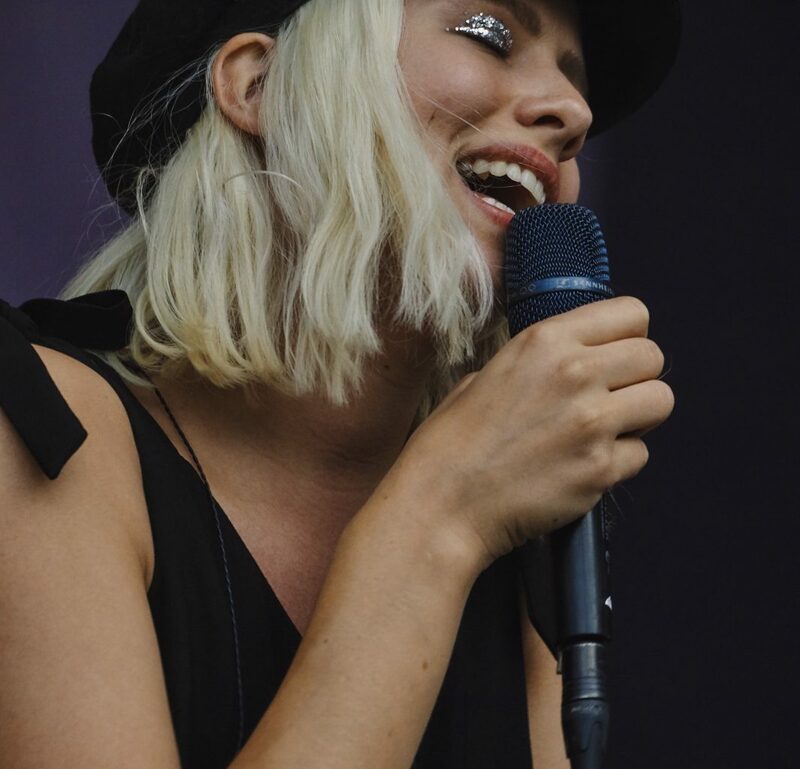 This model is an excellent example of the flexibility of the Shure vocal mics being able to perform well in both live performance and recording situations. “Everything I could dream of in a wireless system: I gotta be honest, there’s really not much I can complain about with this mic system. I got this after using another mic from Fifine and love it. The quality is consistent with them and these work so well. PROS: Warm tone – Operating from 50Hz to 18KHz this has a wide range and is great for those wanting something warm and deep in its tone. Long range – It works all the way up to 80 feet! I can get up, walk around, leave the room and it stays connected. Sturdy build quality on everything. Microphones are plastic in body but do not feel cheap. The receiver feels incredible and is very well made. The knobs feel tight and not too loose at all. 2 Microphones included! Cables for every purpose! I love having multiple options of how to connect to things, and this did very well with that. Built in echo control! Do you know how hard it is to find an interface with built in echo that works well? Incredibly. This was a big thing for my wife and I who both love karaoke. Also work pretty excellent for vocal recording paired next to a large Diaphragm mic and windscreen recording both channels..
“A good choice for PC recording and DJ applications: After weeks of research I finally purchased this wireless mic system for use with my Samsung S8 Active to do video recording. Setting up the mics and pairing them to the receiver was simple; they pretty much sync themselves. An indicator LED on the receiver lights when the mic(s) are paired. The receiver charges up in one hour, or less, depending on the amount of charge required. Plus note that the LOW BATTERY indicator is also a Power On indicator which turns RED when the battery condition is low. I learned this the hard way. “great tone and voice quality left me speechless: April 21,2018 was the first day I used the Hotec dual wireless microphone system to interview 2 prominent Doctors in NYC. The system worked flawlessly, great tone and voice quality left me speechless. The weight of the mics was not too heavy (just right), overall performance is great and I will recommend this product to anyone. “The most versatile dynamic mic at its price: The most versatile dynamic mic at its price. You can record anything with it and it will sound ok.
“Don’t read another review. Just go ahead and purchase one already: I love these mics. Great build quality. Sounds fantastic. Nuf said. So, they don’t sound exactly like a Shure. SO WHAT? All mics sound different. Anyone who owns more than one knows this to be true. The REAL question you need to ask is: Can I get usable results from this budget mic? ABSOLUTELY, and for all tasks that you’d use that name-brand mic for. “Fantastic microphone for broadcasting/podcasting at a great price: Fantastic microphone for voiceover work, podcasting, and any sort of radio/broadcasting application. It’s extremely well built with a metal exterior. Have a quality mount/stand ready, because this puppy ain’t light. No fancy buttons or alternate functions on the exterior, just a straight forward microphone. It sounds great running through my DBX286s and Behringer UMC404HD. It’s got plenty of bass, but it’s not muddy. The high end is clear without being shrill. It sounds pretty good straight out of the box, but really comes alive with a little post processing. It needs a healthy amount of clean gain. I’m running mine through the aforementioned DBX286s, and that provides plenty of gain and sounds great. Another option would be something like a Cloudlifter. “Great sounding, more prone to feedback than others: I have not heard a better sounding handheld, dynamic microphone. I have heard several that may sound just as good, some of which are much less expensive, but I can’t say I’ve heard a better sounding one. The biggest drawback I see with this microphone is it seems to have a stronger tendency to feedback than any other I’ve tried. I evaluated both feedback from the side and back and made a subjective evaluation of this and the polar pattern, and my perception tells me the e945 has a fairly broad pattern for a supercardioid, about the same as what many cardioid mics like the SM58 have. Although the e945 has significantly more gain than a SM58, it still tended to be more likely to produce feedback from the side even when the additional gain was compensated for in comparison. Doing our research across Amazon has brought us these top 10 condenser microphones. Here they are listed from highest review to number 10. Any of these mics are going to get the job done well. This microphone has enhanced directionality and gives quality output even in less than perfect situations. The shotgun tube makes this a great microphone for YouTube filming or any sort of broadcast vocal recording. “Think it’s out of your budget? Think again…: I use this mic exclusively for voice-over work. I purchased this mic with a bit of trepidation. What was I scared of? Quality? No, I was scared of getting a fake. When the mic arrived, the serial numbers were inexplicably covered by little white stickers. I can’t imagine what the purpose would be so, I contacted Sennheiser with the serial number. They not only confirmed the mic was authentic but they confirmed that Amazon was an authorized reseller. They even gave me the date of manufacture and original sale! But I was still nervous. I just spent a thousand bucks! I already own a Neumann TLM49 and wasn’t sure this mic would offer me any real advantage. In my radio days and after, I heard people rave about this mic for V/O work but frankly, I couldn’t seen the point. There are mics you can get good results with that fall well below the $1K threshold. I’ve owned RODE NTKs, SURE SM7’s & KSM44s, Sennheiser 421s, ElectroVoice RE20 and several others. Even a few below $200… I used to have a home-made V/O booth but when I moved, I destroyed it. I had no room for it at my new place. Silly me. I forgot about room noise, birds chirping, sirens… Large diaphragm condenser mics seem to attract sounds you probably didn’t even know were there. So I began to research options and the SENNHEISER 416 kept coming back to the surface. I wanted a mic that would be more forgiving of my work area right now. My early tests surprised me. This mic’s excellent but relatively small directional path made getting a good, clean quality recording possible even with minimal sound treatment. I paired it with a RODE swivel mount boom arm and cheesy but effective Eggsnow Universal Shock Mount and attached the whole thing to my desk. Despite my untreated office, there were few reflections from the untreated wall and computer monitor all under 3 feet away, behind the mic. My test produced a fairly room noise free recording. Noise rejection is outstanding. No birds. No chatter from the painting crew just outside banging ladders around and talking as they painted our townhouse. “BEST OVERALL MIC FOR RECORDINGS!!! (Recordings and even YOUTUBE! ): As a home recording artist, this mic definitely met my needs. For the longest time, I’ve owned the AKG Perception 120 (the old model), and I’ve never had a problem with this mic. The main reason to why I bought the P220 was so I can change my setup to have one mic for recording vocals (the P220) and the other mic for recording YouTube videos (Perception 120). The shock mount for the P220 is being used for the Perception 120, and it fits the mic perfectly. Both mics are basically the same size, so I figured that it would work. The build quality on the P220 is rugged and tough, and the functions are very simple. You have 2 main settings: the bass roll off, which is great if you want to record without having to deal with any unnecessary low end frequency that the mic picks up. The other setting cuts off the signal by 20db. From my experience, it’s best use is if you have a noisy background, and you don’t want that to bleed into the mic. It basically isolates the signal to only be heard right in front of the mic as opposed to everything in the environment. I would be lying if I said that were some things I don’t like about it (because I simply LOVE AKG products) but for other people, this might be too simple of a mic compared to other more expensive mics. The sound of this mic is warmer and more direct than the AKG Perception 120, so I felt that it was better for recording vocals. However, the Perception 120 still crushes it in the studio. Some people might consider a different taste in sound compared to other mics, but for me, this mic suits my needs perfectly. “High quality audio at a great value: This is my first “true” shotgun microphone. For those of you that may be wondering if there is really a difference between this mic and some of the less expensive alternatives (Vidpro, Boya, Neewer), there is a DRAMATIC difference. This is not to say that you cannot shoot good video/decent audio with the less expensive alternatives – you can. For me – I discovered that my interviews and talking head videos did not have that rich vocal sound, and I had to do a lot of post processing to remove hiss & noise. This mic SOLVED that. This is the mic for frugal filmmakers & videographers who were stuck in the world of sub $100 microphones, and are looking to level up. Caution – this mic is NOT an alternative to the infamous Sennheiser MKH 416 although many people are attempted to compare – the 416 is in a class all by itself. This microphone is a short XLR with no extras – no low cut or db boost, no normal/tele mode. The mic is also not battery operated so you will need a good preamp to provide phantom power – either through a field recorder such as a zoom, or what I chose, a Saramonic PAX1 preamp connected directly to my primary camera. I use this primarily as a boom mic. Hanging this mic just out of camera over my subject creates for a nice rich sound. The microphone does an OK job of rejecting higher side noises, but it is not so precise that I have to toil with aiming the mic. The mic is a line+gradient polar pattern, but it seems similar to a cardioid pattern. “this is my favorite vocal microphone for many applications: I’ve seen the Pope using this mic, how could you go wrong with the same mic that the Pope uses? “In love with the sound of this Mic: Everyone said how awesome this mic is. I definitely agree. The only downside for me is that it doesn’t come with detailed instructions for someone who’s a first time user of a studio microphone. “Best decision ever: For half of the price of a Blue Yeti, this is beyond my expectation. – Works when I whisper. – Don’t move it around. The mic is very sensitive if you drop it, it’s over. -Honestly, this thing is pretty perfect, especially for automatically equalizing my amateur home theater setup in conjunction with Room EQ Wizard, Equalizer APO, and the Peace GUI for Equalizer APO. “Fantastic mic for V.O. work! : I use this microphone for professional voice over narration, and it performs just as well as more expensive mics. I have had no issues with it, whether recording character voices or audio book narration. While this isn’t likely to be the go-to mic for a studio, it wouldn’t be out of place there either, and will serve wonderfully for a home studio environment. It is a sensitive cardioid patterned microphone, so if there are large sources of background noise (furnace, fans, T.V., etc…) in a nearby room, it WILL be picked up in your recording. The V67G has a clear, rich tone, and requires little to no EQ for my voice. When getting up close, the proximity effect adds a great depth to the voice without distorting the tone, and without needing too large of a reduction on the gain. Overall, this microphone is well worth the money and then some! “Great USB Microphone – Super Easy Set-up! : Great microphone! People used to have so much trouble hearing me on Skype/video calls using my webcam. This mic have changed it completely – also sounds so much better in videos. That sums up this monster of a post on recording mics. We hope you have some more insight on what’s best for your studio and home recording spaces. Looking for more insight on which mics may be best for you? Check out some more in-depth reviews here. 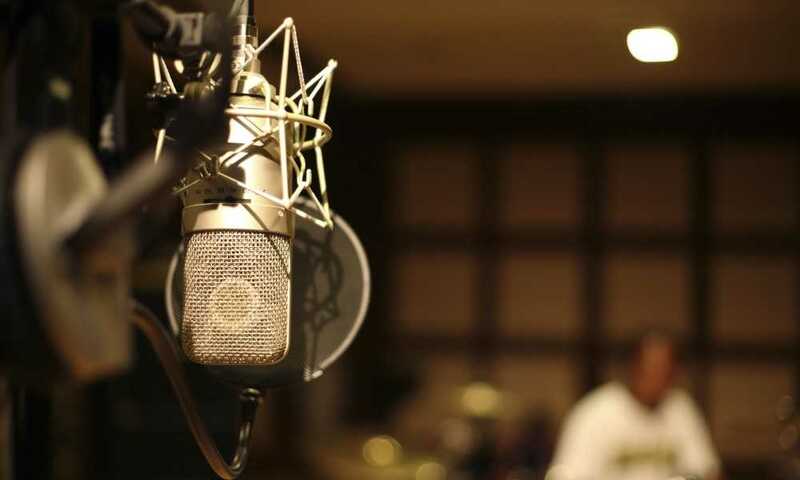 You can also learn more about microphones for recording rap vocals here.